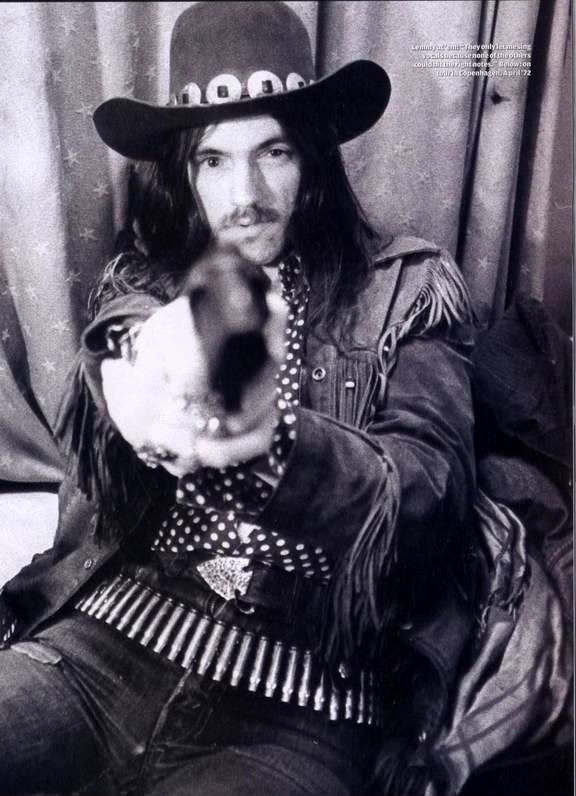 Many mornings, when I get dressed, I think to myself, "If Lemmy was a woman, would he wear it?". For a simpler fashion life, this single criteria makes dressing ridiculously easy, especially for days when you just don't feel inspired. It mostly involves black, possibly some western detailing, and definitely leather. 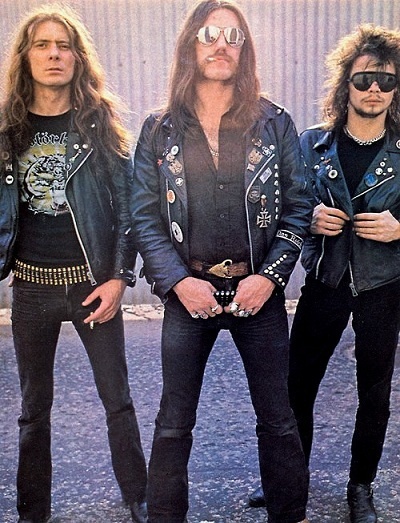 My first ever metal T-shirt I owned was a Motorhead one, back when I was 13 years old. I remember feeling empowered when I finally accepted that I just wasn't like other girls. I didn't like pop music, I didn't like netball or sleep overs. I liked loud heavy metal music and I was tired of trying to fit in. So I stopped trying. I bought my Motorhead t-shirt and all at once it felt like a big weight had lifted off my shoulders. This is who I am. The first time I wore it was summer and I was wearing a DIY tie bleached denim mini skirt from which I'd removed the zip and put in laces instead. I recall walking to my friends house and approaching a house where there was a load of outlaw bikers (The Blue Angels) sitting fixing their bikes and drinking. 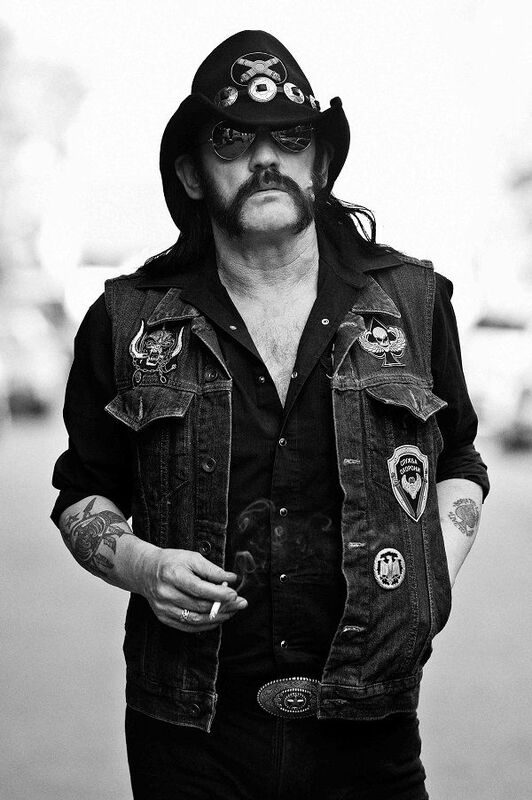 I felt a little foolish and self conscious, being a skinny 13 year old girl and wearing my Motorhead t-shirt, but they shouted that they liked my t-shirt and I was delighted. Ace of Spades was also the first heavy metal album I ever heard, back in 1980. I was far too young to appreciate it of course, but perhaps on some level it struck a chord that still resonates with me today. Lemmy doesn't care that he's not good looking and he wasn't going to remove that big old wart for anyone. 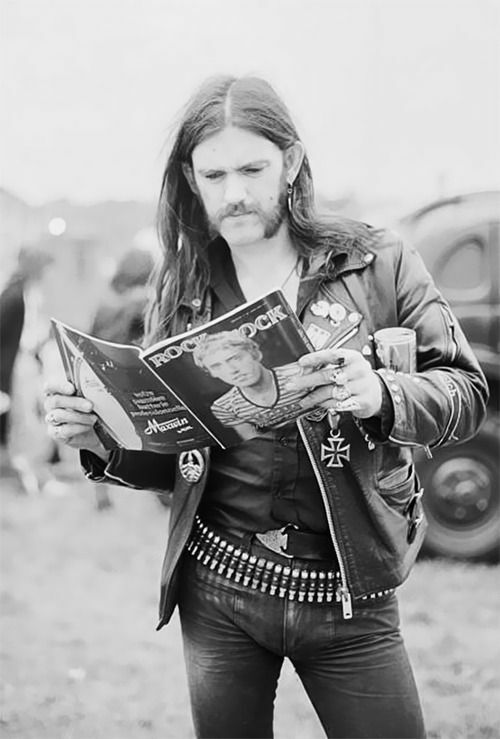 So really, when it comes to being true to my own style and accepting who I am, warts and all, I personally have Lemmy to thank. Who is your sartorial inspiration?